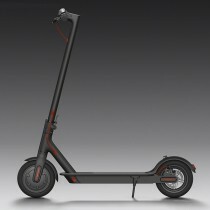 Xiaomi unveiled its electric vehicle and it’s not a car - it’s an electric scooter called the Mijia. Smaller and more portable than the company’s QiCycle and cheaper too - when it launches at 10:00 on December 15, it will cost CNY 2,000 (equivalent to $290/€270). 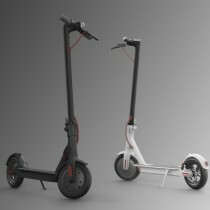 The Mijia has a range of 30km (while carrying a 75kg person) thanks to its 280Wh battery (LG 1850 lithium) and its 500W motor can push it up to 25km/h. 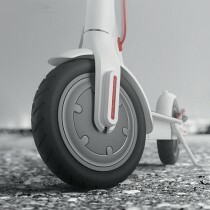 The scooter features regenerative breaking (KERS), but also a regular brake disc (with E-ABS) so it can come to a complete stop in 4m. 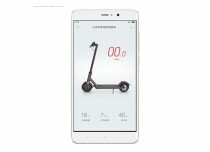 Xiaomi will offer two color options - White and Black - for the scooter, which folds up in just 3 seconds. It weighs 12.5kg (27.5lbs) so it is portable, though you probably don’t want to carry it very long (or at all). The Xiaomi Mijia comes with a smartphone app, naturally. It gives info on current speed, battery charge and range. It also allows you to monitor the battery and will notify you immediately if there’s something wrong. Big thanks to our tipster for sending this in!